Quito is the capital of Ecuador, and a treasure trove of Latin America’s historical riches: the majority of buildings in Quito were able to withstand natural and human trials, to which they have been subjected for centuries. In different historical periods in Quito were found different cultures and ethnicities that have left vast heritage in the arts, cultural and historical heritage, which can be seen in Quito today. This priceless treasure city of Quito was rewarded in November 1978 when Quito was included in the list of World Heritage Sites by UNESCO. Quito with Krakow were the first cities included in the UNESCO list in more than 30 years. The organization wrote a statement when they announced Quito as a World Heritage Site. The declaration reads: "Quito forms a harmonious ensemble, which is the result of joint efforts and actions between man and nature, to get something unique and lasting." The territory of Ecuador has been an important part of the legendary empire of the Incas. Their people have inhabited the lands of present-day Quito before Columbus set foot on American shores. 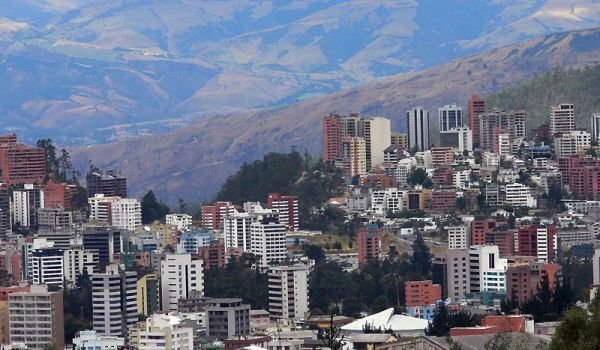 In a literal translation, Quito means village in the mountains. In the flourishing kingdom of the Incas, Quito was one of the major centers and was identified as a paradise in the mountains. Between Quito and the capital of the Incas - Cusco was built a connecting road of stone steps carved in the rocks. Over deep chasms were built hanging rope bridges. According to UNESCO, Quito is the only city in the world that has such a large, well-preserved and unaltered historic center of Latin America. Historic Quito extends over an area of 320 hectares, and most buildings have kept their authentic appearance despite several earthquakes, which Quito experienced. The central square is located about 25 km south of the equator. At the exact place where the equator passes is a monument and museum, popular with the name "la mitad del mundo". Literally translated, it means the center of the world, the name is given, so that it remains different from Ecuador, which in Spanish means "equator". One of the symbols of the city is the monument El Panecillo, which stands on a hill in the west of Quito, at 3, 016 meters above sea level. This monument is actually a figure of the Virgin Mary with angel wings. Officially, the figure of the Virgin Mary on the hill in Quito was inaugurated on March 28, 1976. In preparing, 7000 aluminum fragments are used, the total height of the figure is 41 meters. One of the most visited by foreign tourists places in Quito is La Mariscal Sucre. It has deserved the nickname "Gringoland" because of its popularity among Western tourists. There are a lot of night bars, cafes and restaurants in Quito. In the northern part of Quito, on the hill Bellavista is located the Parque Metropolitano, which with its area of 5.5 sq. km is considered the largest urban park in South America. This park in Quito is greater even than the famous Central Park in New York. Be sure to explore the colorful local market in Quito and buy a poncho or some ceramic souvenirs.